Download Hour1 Download Hour2 A stark contrast with last week's show, we look this week behind the facade of the separation of powers in USA. Do any effective checks remain on how the US government behaves itself? Or is the external threat of massive dissent the only check left to the ongoing rollout of the totalitarian state's surveillance and control grid. We begin the show this week with a short interview from 2012 of whistleblower Peter Van Buren, author of "We Meant Well: How I Helped Lose the Battle for the Hearts and Minds of the Iraqi People" which exposes the reality of the US occupation of Iraq. Van Buren explains the concept of the 'hallwalker' - someone who for procedural reasons cannot be fired, but who - having displayed their loyalty to truth - has been relieved of all duties. He himself was one such at the time of the interview, having been banned from entering the office which was still paying him at that time. Next we hear an interview from last month with Jesselyn Radack, former ethics adviser to the United States Department of Justice turned whistleblower. Her perceptive interviewer, Peter B. Collins asks, many whistleblowers in recent years have retained their security clearance? Radack cannot think of any, and the discussion centers on the ever harsher treatment of anyone who dares to criticise the increasingly unrestrained US state. The [National Security Agency's] capability at any time could be turned around on the American people, and no American would have any privacy left, such is the capability to monitor everything: telephone conversations, telegrams, it doesn’t matter. There would be no place to hide. [If a dictator ever took over, the N.S.A.] could enable it to impose total tyranny, and there would be no way to fight back. Greenwald shares some statistical light on the huge net of surveillance cast by the NSA. It is very hard to get a grip on just how much they are intercepting, but given that surveillance technology is almost 40 years advanced since Frank Church's assessment, it seems likely to be almost everything. When asked to give rough statistics on the amount of communications traffic intercepted, the NSA recently refused point blank, stating that to do so would violate the 'privacy' of US citizens. WTF? Legal grounds? Justification? Suspicion? These appear to be frivolities in the age of Obama in which whistlebowers are increasingly not only being sacked but also criminally charged. Greenwald paints in broad brush the creation of and function of the surveillance state in USA since Sep 11th. 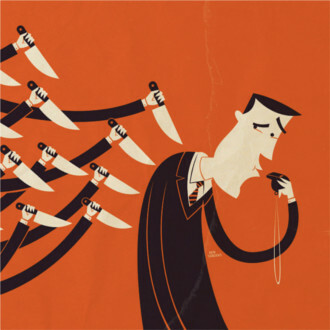 The next show we had on whistleblowers was the very practical episode 715, which reads out Brian Martin's advice for would be whistleblowers. This page was last modified on 2 July 2015, at 07:04.